West River Rodeo Bible Camp offers life-changing, practical Bible teaching, hands-on instruction from regionally and nationally recognized rodeo cowboys and cowgirls, and the chance to compete in rodeo events for all skill levels. The director of the WRBC approached us, looking for a logo design to reflect the camp and what it is based upon. 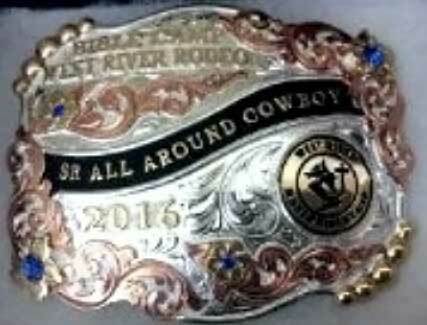 Located on the river, the board was looking for a design that incorporated this, the rodeo element and a depiction of The Cross. We worked to create a piece that incorporated these elements, was authentic to the rodeo world and offered a sleek, athletic feel. The logo has been used on buckles, clothing, signage and other branding material. We also created a t-shirt design for the same group, featuring the notion of being “Cowboy Jesus Freaks“. Let’s have a look at what we can do for you.